Hola peeps, how are you all? 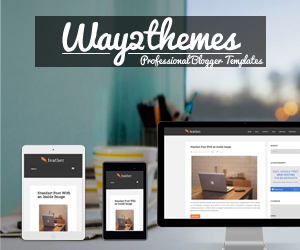 These days I am loving writing everyday in my blog. 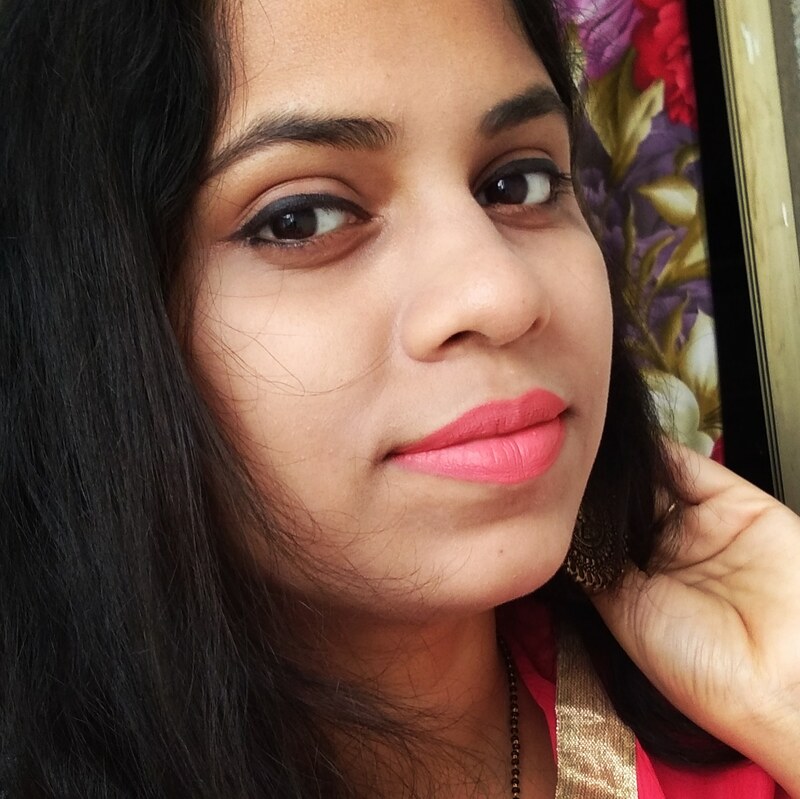 I am also started being active on my YouTube channel (plz subscribe me here) . 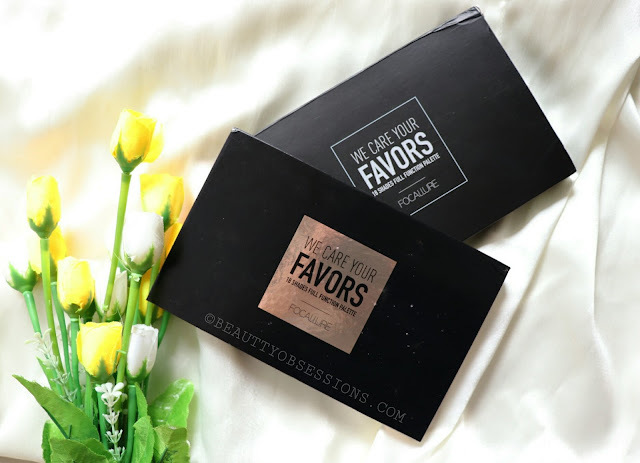 Well, today I am going to share a beautiful eyeshadow palette from the brand Focallure. 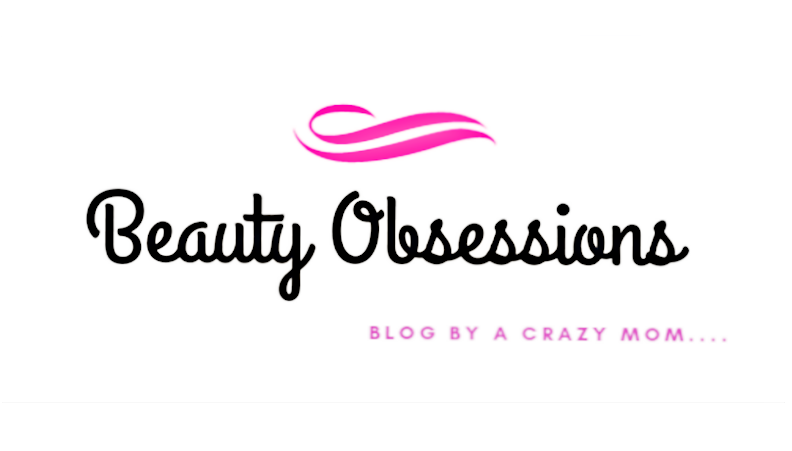 The brand might seems you new but trust me they have amazing makeup range. You should definitely try out their foundation range, very impressive . So I got this 18 colours eyeshadow palette from beautybigbang.com .Yes, you can Buy Focallure stuffs from beautybigbang website. Shopping with beautybigbang is very easy and hassle-free . They do ship worldwide with free shipping. You can pay through PayPal. The delivery take 2-3weeks as per your location. You should check out the site for awesome range of makeup and nailart stuffs. Also use my coupon code SNIG10 during checkout to avail extra 10% off on your order. Isn't it great? Now come to the eyeshadow palette, what do you think at the first sight? Isn't it look like the dude of Huda Beauty Rose gold pallete ? I know you will agree with me. 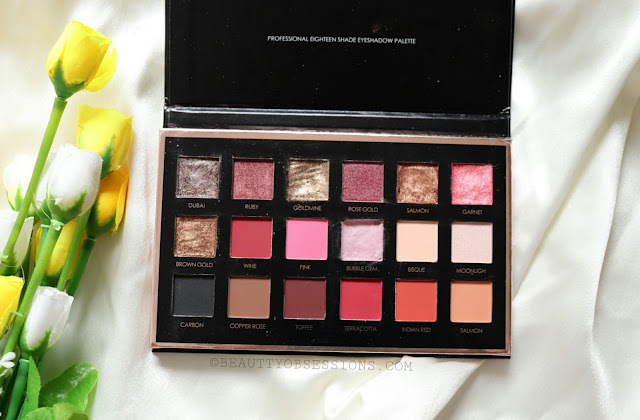 There were two variants available in this range and I choose this one because the shades are looking like dupe of Huda Beauty Rose gold pallete . But the price is almost one third of the Huda Beauty palette. 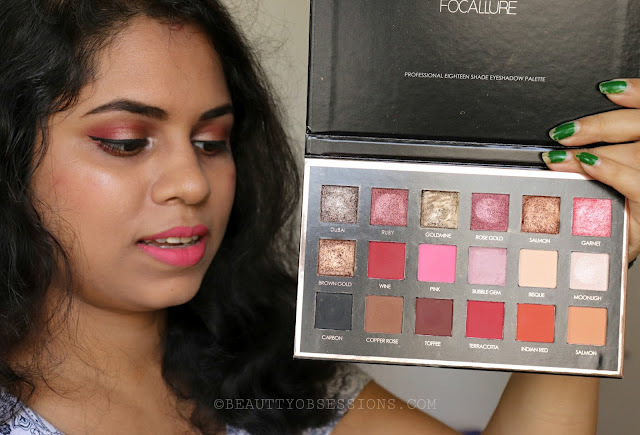 Let's see the quality of the shades of this Focallure eyeshadow palette below.. The packaging is good and not looking filmy. During transit some of the shades had broken in my palette (which happens generally during international shipping) but I somehow managed to fix the broken shadows (watch the video here on my channel). There is no inbuilt mirror inside the palette which I found little down but that's really not a big issue. Most of the expensive palettes also don't have inbuilt mirror inside, hence it's okay. Overall nice packaging. There are both shimmery and matte shades in the palette. 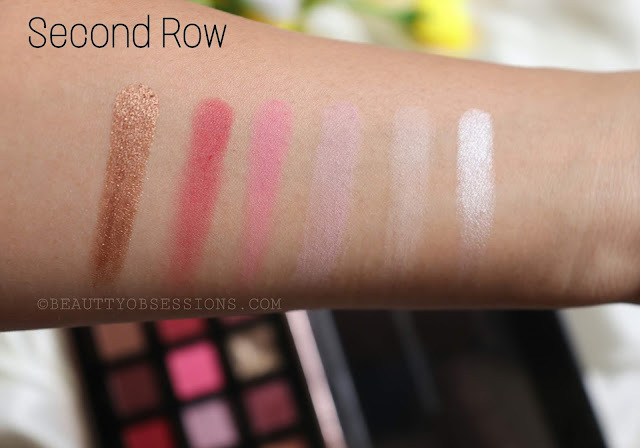 The texture of the shimmery shades are very creamy and soft, while some of the matte shades are powdery or chalky. 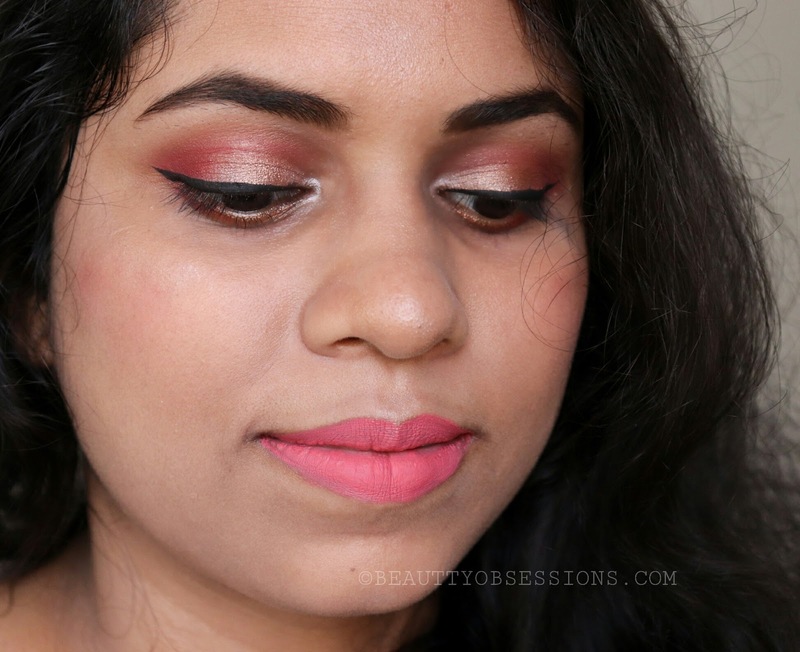 All the shades are quite pigmented except few lighter shades which are chalky kind. 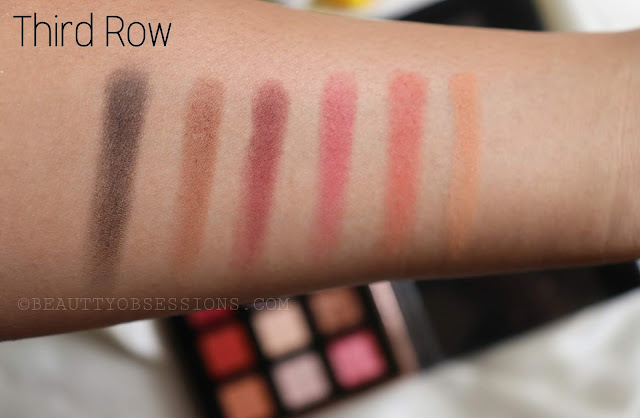 Find below the hand swatches of all the shades row wise. The colour can be built up with a primer underneath. These stay on me couple of hours and with a good primer these stay more time. There is less fall out during applying. The lighter shades has a bit fallout issue, rest are fine. 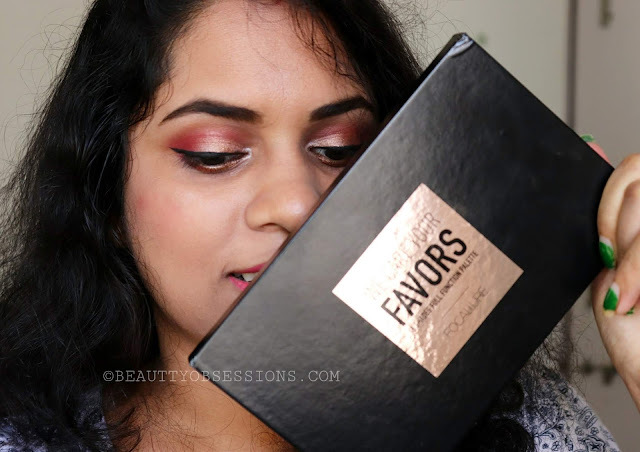 I am loving the shimmery shades of this palette, these are so much pigmented in just one swipe which is really great. 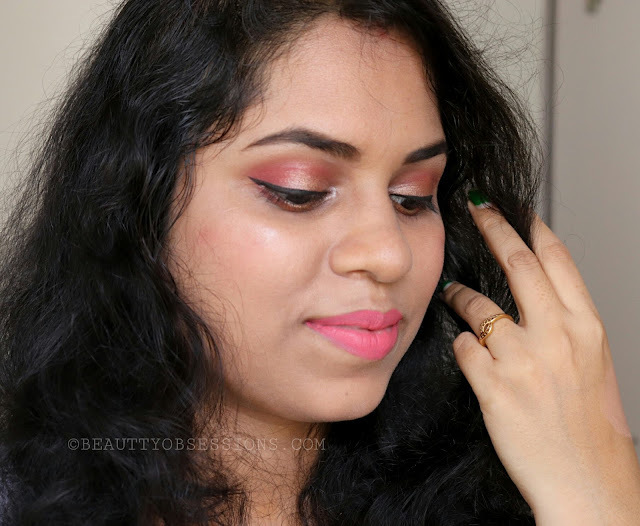 Here I have tried to do a eye makeup using this palette, hope you all will like it. Love how it includes so many colors – and the colors are so pretty! Thanks for sharing!18 colors in one go. This is indeed good range. The effect is so good on you. Loving this pallette. At this cost, the colours included in it are wonderful. 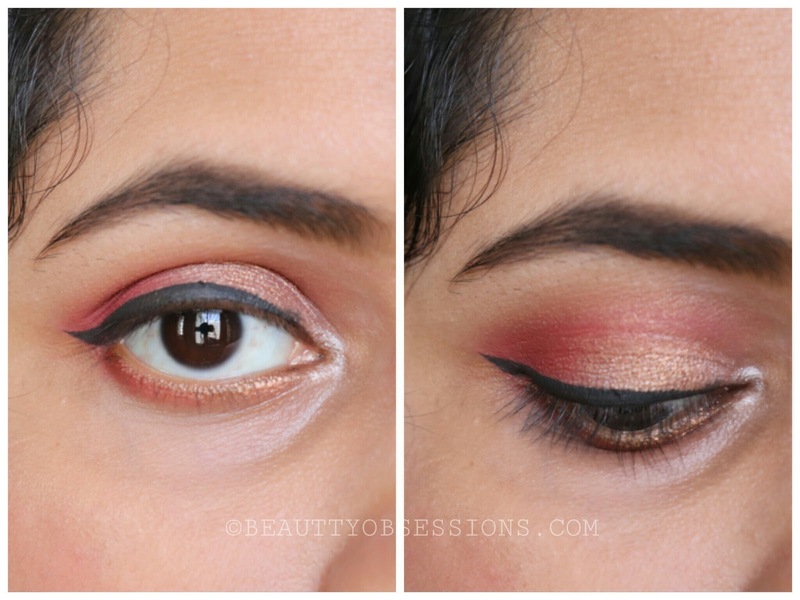 Your eye makeup looks so beautiful, perfect for every celebration. Wow this is a versatile palette. I love how it has got matte as well as shimmery shades. The pigmentation is also nice. Lovely review. 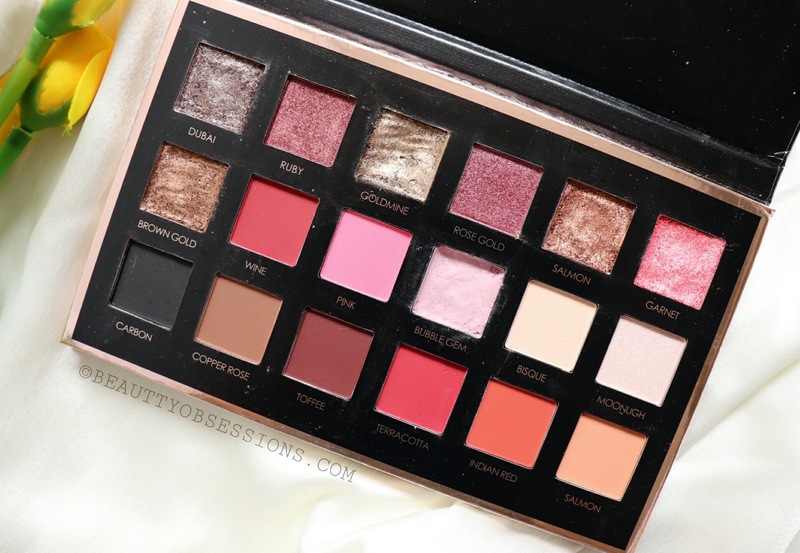 Yes, the first thing that came to my mind was that this is a dupe of Huda beauty palette... 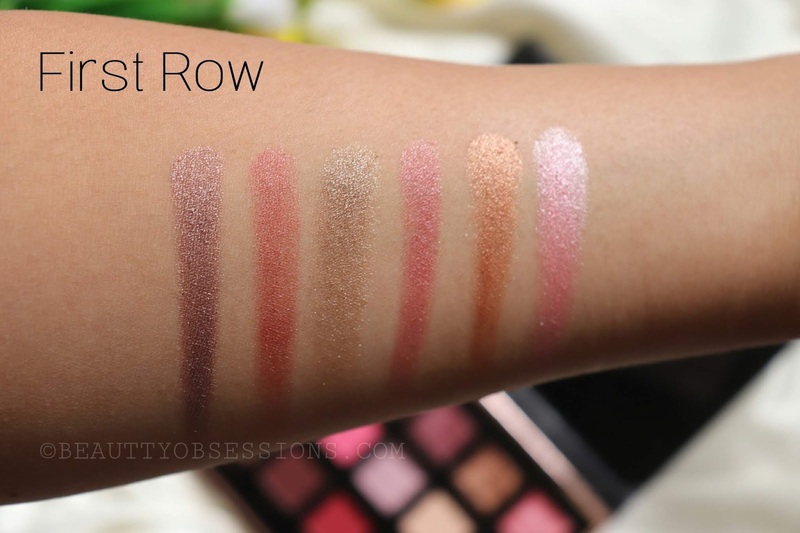 I had been planning to get a palette like that, but it was so costly! This is so affordable, I will definitely get this! Loved the colours in this pallet. I live bright colours and it has all my favourite ones. The palette looks good! Seems like a good choice for me. My old one is overused and is going to get discarded soon.